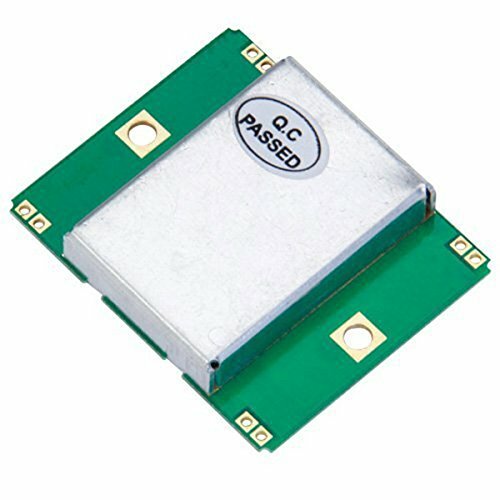 HB100 Mini Microwave Motion Sensor is a X-Band Bi-Static Doppler transceiver module. Its built-in Dielectric Resonator Oscillator (DRO) and a pair of microstrip patch antenna array, make it ideal for OEM usage in motion detection equipment. - RF the Microwave Sensor. - Low cost andamp; Low Power Consumption. - Pin Type andamp; No Pb free Type(No Rohs). - Small and Flat Profile. - Operating Temp: -20 to +55. - Traffic / express highway watch and control. - Security relation products (sensor and alarm set etc). - Automobile rear collision warning. - Sensors applies in all products which operate. - E Plane 3dB Beamwidth : 36'.